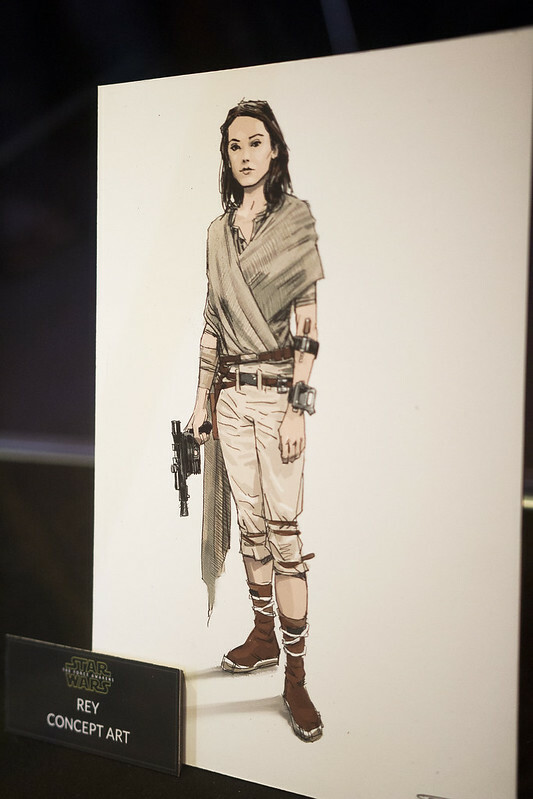 Looking to cosplay as Rey, the new female lead of Star Wars: The Force Awakens, for the premiere of the film later this year? 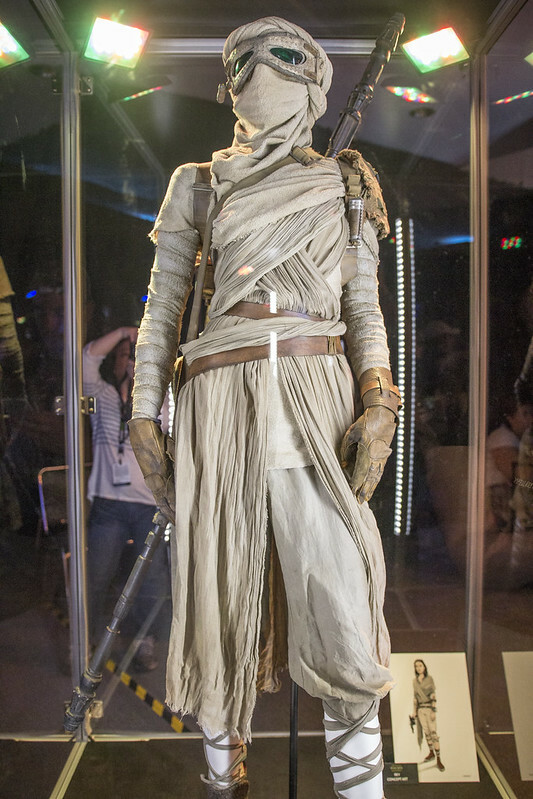 I’ve got you covered with some reference photos from the The Force Awakens exhibit held at Star Wars Celebration Anaheim just this month. More high-res photos at the Flickr gallery. One thing I loved about this exhibit is that there was a list of materials used for the costumes. How handy is that for us costumers? Awesome! 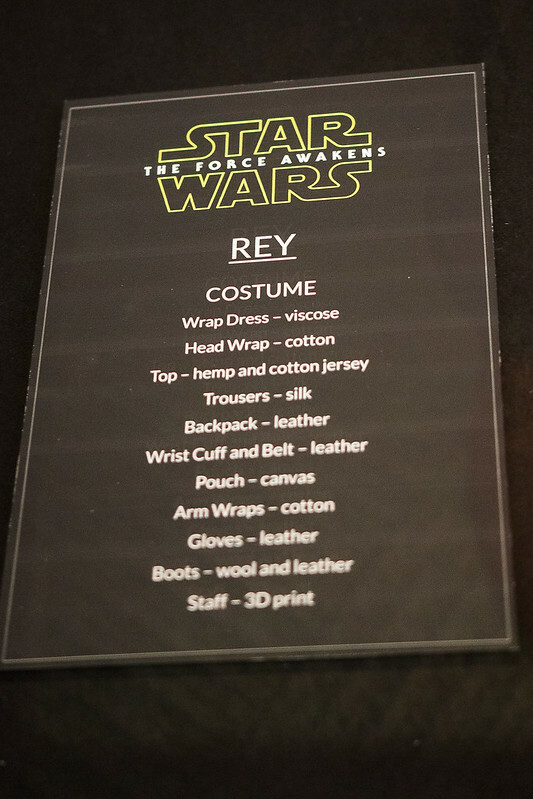 I wish they done this at the other Celebrations, I would have loved to get some good reference pics for dozens of costumes from the prequels. I know, right? 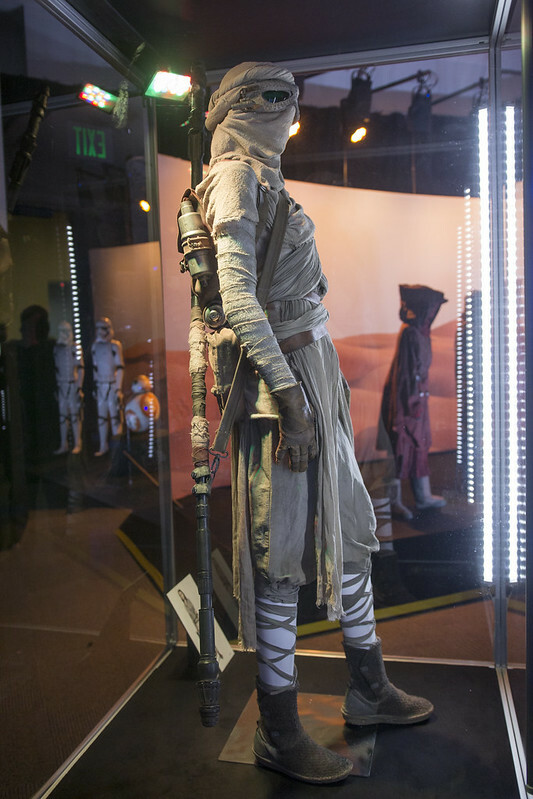 I wish I could’ve made it to that exhibit at the EMP museum just for that! Me too! This is why I have Dressing a Galaxy, couldn’t have made my Jedi Librarian cosplay without it.